Student-athletes will never actually become a union, but if they did & had a strike (as all unions do) you ok w/ missing a cfb season? 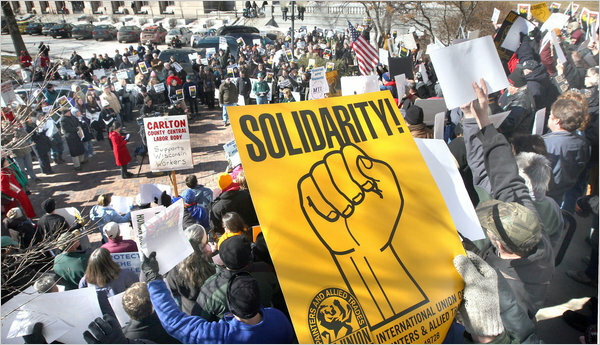 “Union” and “strike” go hand in hand in popular culture now. However, the suggestion that college athletes unionizing would lead to strikes is, at best, misguided. Within the industrial complex of professional sports, football and men's college basketball serve as de facto minor leagues. For athletes hoping to play professional sports, the collective-bargaining agreements in the NFL and NBA have turned college into a quasi-apprenticeship. The pro leagues use college competition to sift through and sort thousands of young prospects. Consider what going on strike means for this universe of wannabe pros, which happens to coincide with the universe of the most valuable participants in the labor force of college sports. It would require that athletes who want to go pro bypass at least part of a crucial evaluation period. For this group of athletes, the concessions that could be gained by taking the schools to the mattresses pale in comparison to what they could earn by getting to the big leagues. The tradeoff just doesn’t make economic sense. In the context of a labor dispute, that’s divide and conquer all day long for the schools. In fact, you don’t even need a union to go on strike. Organizing might facilitate a strike, but it’s not a necessary condition. That could happen now, union or not. Personally, I find the suggestion that "we can't let athletes unionize because they might go on strike" morally repugnant, but that's a conversation for another day. The reality is that even if athletes achieve some kind of formalized collective-bargaining power, the show will go on so long as college sports remain the primary conduit to the big leagues.